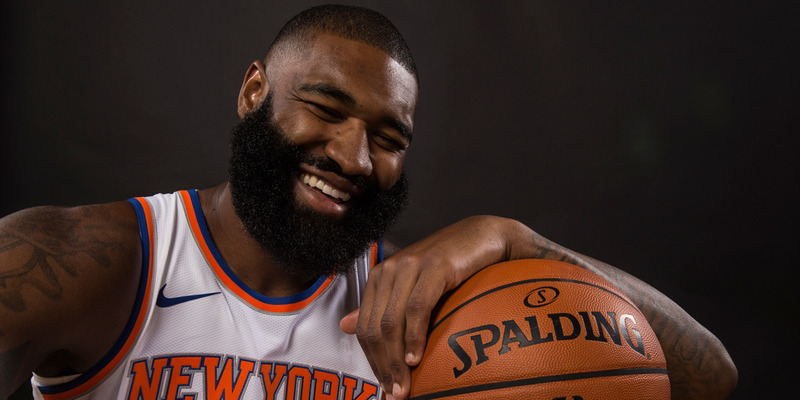 New York Knicks center Kyle O’Quinn has a surprising side hustle: entertaining at bar and bat mitzvahs in and around the city. At these bar and bat mitzvahs, O’Quinn dances, signs autographs, takes selfies, and generally acts as the life of the party. New York Knicks center Kyle O’Quinn might be a force on the court, but he spends his spare time moonlighting in a surprisingly sweet side gig: entertaining at bar and bat mitzvahs around the city. ESPN’s Ian Begley reported last week that O’Quinn attended his first bat mitzvah when Andy Miller, his agent, invited him to celebrate at his daughter’s ceremonial entrance to adulthood. “That was one of the best parties I’ve been to in my life,” O’Quinn told Begley. Since then, O’Quinn has begun making the rounds at bar and bat mitzvahs, booking gigs through his agency and showing up to help parents relax and kids enjoy the party. “I did one, did two, and the next thing you know, I was just Bar Mitzvah Man,” he told ESPN. O’Quinn doesn’t attend the religious aspect of the celebration but joins up with the party afterward, with an emcee introducing him to the crowd. It’s no surprise that O’Quinn, a loveable big man who’s known to be the comedian in the Knicks’ locker room, would be successful in this role – and it has apparently turned into a side hustle for the center. O’Quinn’s is supposed to be the life of these parties – he’ll spend time dancing and joking with the kids, signing autographs, and taking tons of selfies. And he seems to excel at it.